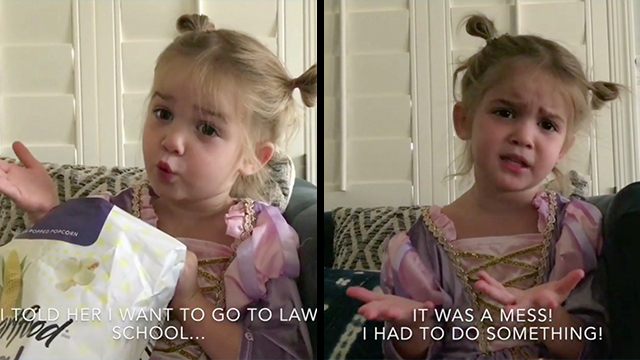 For the most part, everyone is starting school this month including little 2-year-old Mila. Which means momma Katie Stauffer enrolled her into preschool. Doesn't she know Mila would rather go to law school? Well, a room of screaming toddlers and absolute nonsense is no place for this future law student.